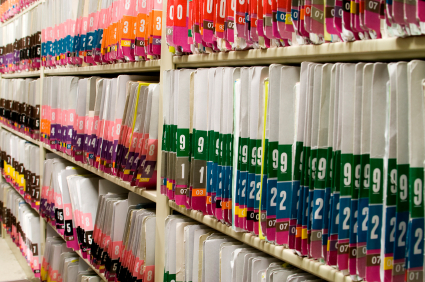 Medical Record Storage is a vital concern for Practices, Clinics, and Hospitals of every size. As the requirements for Medical Records Management continue to change, practices need to stay updated on the latest Regulations and ensure that they're in compliance with the latest Records Retention Requirements. With these additional responsibilities, it's more important than ever that Healthcare Organizations have a trusted Partner for Medical Records Management. Shoreline Records Management has over 15 Years of Experience providing Medical Record Scanning and Medical Document Storage Services and can customize our service offering to address virtually any need. 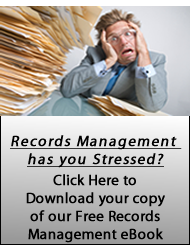 What is Medical Records Management? Medical Records Management is the art and science of managing all information relating to the operation of a Healthcare Practice. This includes filing and storing Patient Charts, Scanning Medical Records, ensuring adherence to regulations and retention schedules, and managing the destruction of medical records after their retention period. Medical Records Management also involves effective administration of a Practice's non-Clinical information including accounting records, contracts, and other business-related documentation. Our services are specialized in helping all types of facilities including Skilled Nursing Facilities, or SNF's, and Long-Term Residence Care Facilities. What Medical Records Management Services does Shoreline Provide? Medical Record Storage - We offer secure medical document storage in our records management facility. We can efficiently store and track patient charts in hard copy format using our advanced barcode technology and enable fast retrieval in the event that a chart is needed. Medical Record Scanning - Whether you choose to store you paper-based charts or scan them all from the beginning, Shoreline has services to help. We offer outsourced patient chart scanning to enable you to retrieve medical records directly from your desktop or EMR system, in addition to Scan on Demand Services to deliver back paper-based charts in imaged format. How can I get an estimate for Medical Record Storage? Our Medical Record Storage services are priced on a per container, per month basis. Typically we're around $.50 per Month for storage of a 1.2 Cubic Foot Bankers Box, depending on the total volume of boxes that you're looking to store. For a price proposal based on your requirements, please fill out the form on this page and one of our Solution Consultants will contact you to discuss how we can be of assistance.